For graphic preparation we provide you with an artwork template for every product available. You can find them on every product detail page in the download section, in the product summary below the pricing information. The product specific template can also be downloaded in > "My Account" > "File-Uploader" after the order is placed. Please select the order number as well as the position. The template consists of two pages. 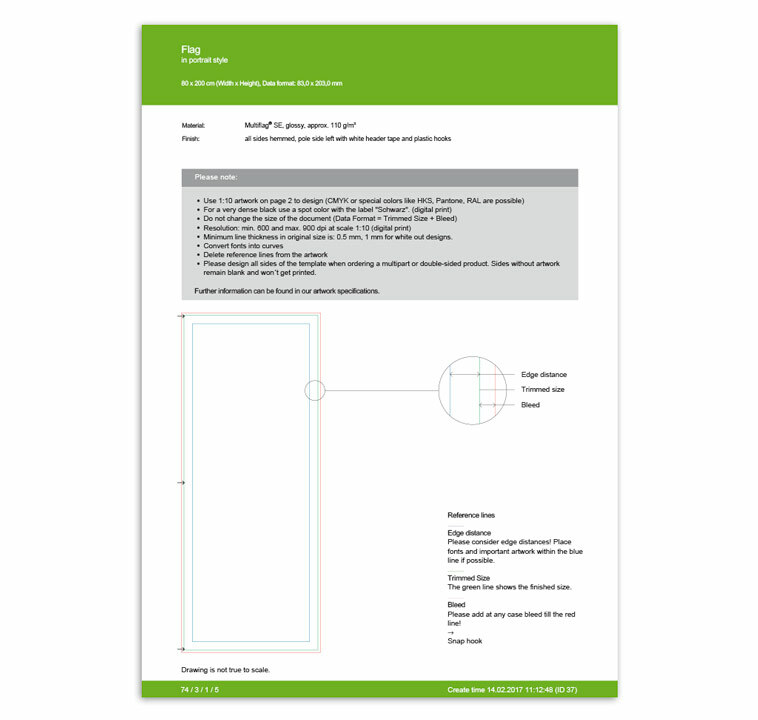 On the first page of the artwork template you can find important details about the templates lines, general requirements and a sketch of the template layout. 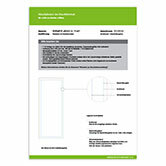 The second page is the actual template itself which needs to be used for graphic preparation in the graphic program desired.